Bimal Pandey has performed many Divine Homas in the United Kingdom, and within these can be seen the various forms of the Divine Gods and Goddesses. Here You can see Lord Ayyappa holding the shiva lingam . Here Swami has appeared but this time in a different posture. 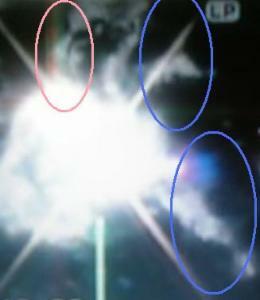 His body can be clearly seen and has been outline on the picture on the right. Swami form has appeared crouching down and looking at something. 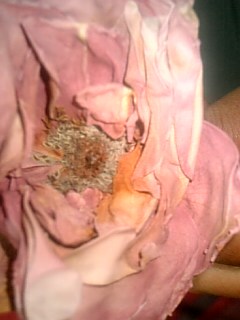 On the left side Bhagavan Sri Sathya Sai Baba has appeared inside the flower. 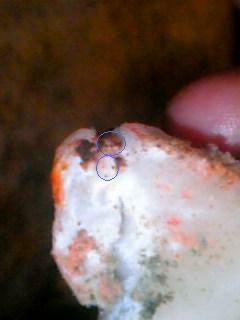 You can clearly see his bright orange robe and his afro of hair ontop. Then on the right side this is just the left picture turned upside down. 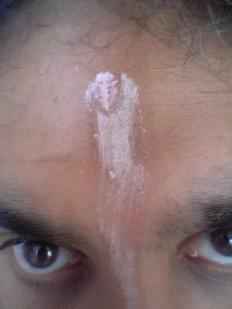 So once turned up side down you can see Lord Prema Sai. His beard and face are clearly visible. 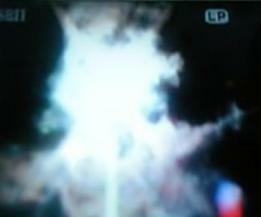 Bimal Pandey had just sprinkled some water on the flower and these Divine forms appeared. 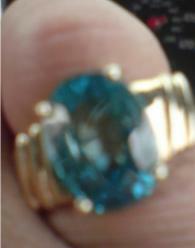 In the blue ring can be seen the form of Lord Ayyapa in his divine baby form. 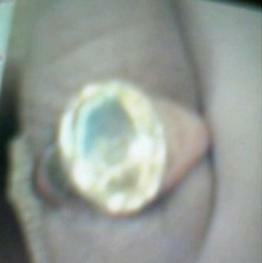 In the golden ring can be seen Prema sai looking down onto Lord Ayyapa and in the red ring can be seen the Divine Mother, Goddess Srimad Sai Rajarajeshwari. Goddess Aum Srimad Sai Rajarajeshwari has appeared here wearing an (Indian suit) Sari. Amma's hair is black and her face looks very fair. You can see the ripple effect of her sari at the bottom. 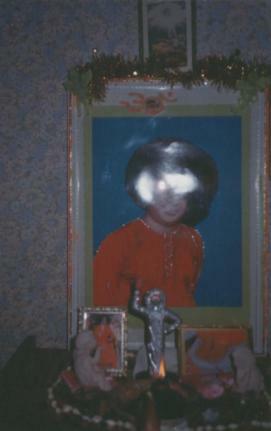 Amma appears to be looking towards the right handside. Above is a copy of two of the previous pictures. But this time they appeared together. Goddess Aum Sri Srimad Sai Rajarajeshwari is on the left and Bhagavan Sri Sathya Sai Baba is on the right. This is Truth, and shows that Amma and Swami are always together and that they are bringing in the golden age. This is just a normal candle inside Bimal Pandey's Divine temple. 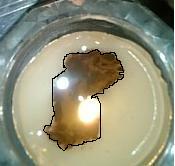 Here you can see Bhagavan Sri Sathya Sai Baba has appeared inside the candle sitting cross legged. 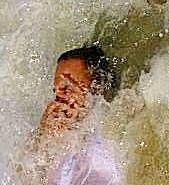 You can clearly see his hair and body. The formation of his legs crossed is very clear. Here Goddess Rajarajeshwari can be seen holding Lord Ganapathi (baby form) . You can clearly see the small trunk of Lord Ganapathi and his face. Amma’s face is also very clear. 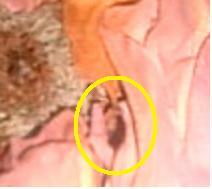 Then just below in Lord Ganapathi's stomach can be seen the face of a Lion. This is Amma’s Divine Lion that’s she rides. Amma has been circled with a Pink ring, Lord Ganapathi has been circled with a green ring and The Divine Lion has been circled with a Golden/yellow ring. 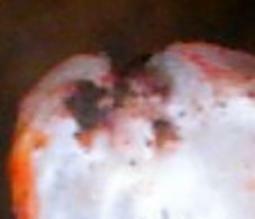 This picture was formed by the ash from the incense dropping in the candle. 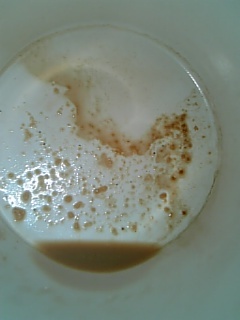 Here Bimal Pandey was having a cappuccino and inside his mug, just ontop of the foam appeared an Aum sign. 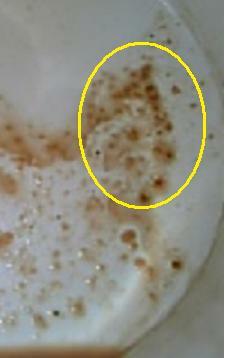 You can clearly see the formation of the symbol and it has also been circled with a Golden ring. 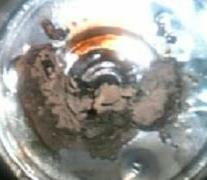 Here Bimal Pandey was having a coffee and inside his mug, at the bottom appeared the Divine form of Lord Sri Ayyapa. 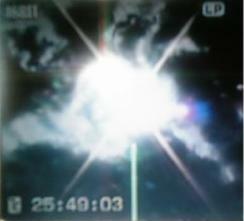 Bimal Pandey took a picture of the sky in perton and on the top can be seen Bhagavan Sri Sathya Sai Baba giving darshan. 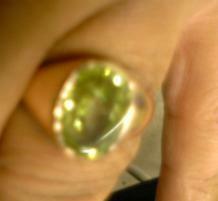 Swami has been circled in a pink ring. Here Lord Ayyapa has appeared in the sky riding his Divine Horse. 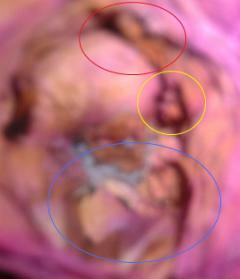 Lord Ayyapa has been circled in pink and the Horse has been circled in blue. 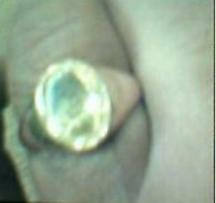 The top Blue ring shows the Horse's head and the bottom ring shows one of his legs. 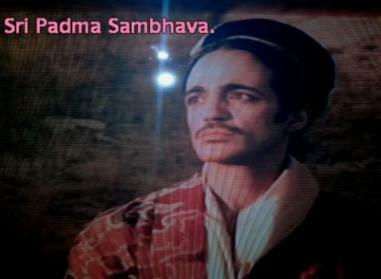 Swami appeared in Bimal Pandey's ring. Swami apppears in Bimal Pandey's different ring while he was sitting in the car. 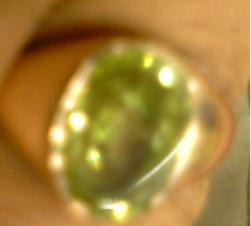 Swami appears in Bimals ring giving him darshan. Here is a picture of Bhagavan Sri Sathya Sai Baba. 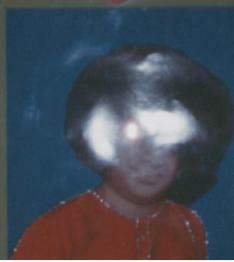 Here you can see the formation of a man in swami’s Afro. This is Sri Padma Sambhava. 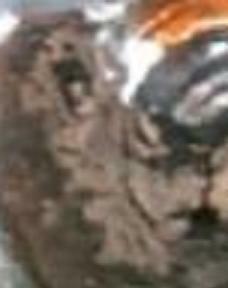 The eyes, nose and mouth and hair are clearly visible. Then just above swami’s right eye brow, there is a beautiful golden light. 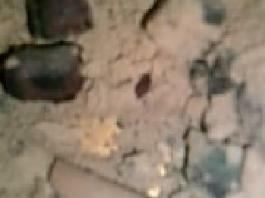 This is the golden Hiranyagarbha lingam appearing. 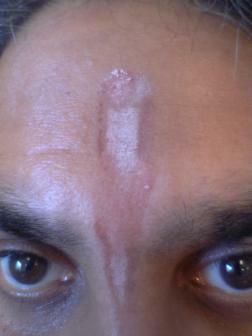 Then to the left of the picture there is a Trishul. This picture shows how Sri Padma Sambhava has changed into the Hiranyagarbha lingam. The story regarding his life, including that he entered the world as a fully formed 8 year old child floating on a lotus in the middle of a lake. He decided to explore all states of existence, heavenly and hellish, and moved into a cemetery to do so. Through deep meditation he experienced all possible states of awareness and conquered the root of human fear. He ascended to full Buddhahood, and gained extraordinary mystic powers, the most famous of which was his ability to conquer and even enlighten demons. 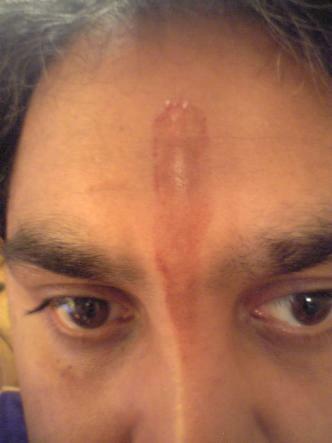 Here the Prema Jyothi lingam is merging into Amma’s forehead. Bimal Pandey represents this lingam. Swami told Bimal to look after the Mother (Amma) so that’s why the Premajyothi lingam has appeared merging into the Sri Chakra bindhu. Amma resides in the Sri Chakra (Sri Chakra Bindu Vaasini). These four pictures show the gradual change of how the form of Lord Shirdi Baba changes into a Lingam. 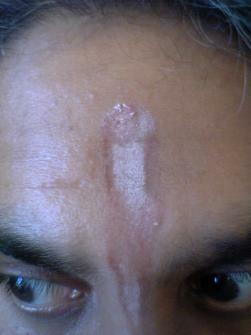 At The start you can see how on Bimal's forehead Lord Shirdi baba appeared giving Abaya Hastha. 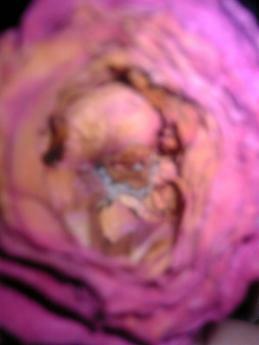 Then within minutes, the form starts to change. Then finally into a lingam. 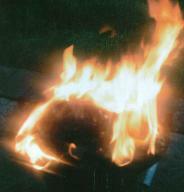 A lingam represents Nirakara, as it has no begining and no end. 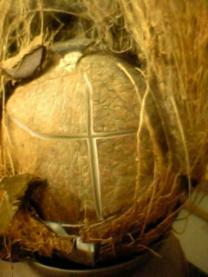 Here Once Bimal pandey had performed his pooja he broke the coconut, ( The breaking of a coconut after a pooja signifies breaking of the ego). 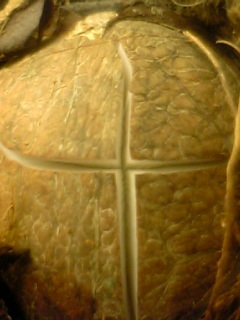 When the coconut smashed a cross appeared inside. has appeared. 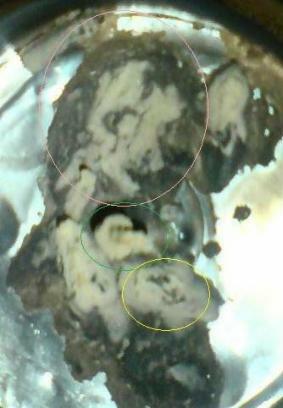 His face is in the top and you will notice that another Divine Face has been circled. This is Lord Sri Ayyapan. 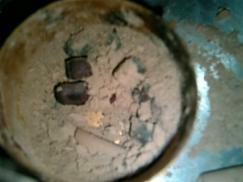 Here You can see Lord Ayyapa has appeared in the ash. He is looking downwards towards the botton right hand side. 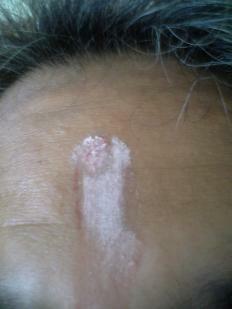 On the smaller lower picture the face swami has formed on a brown peice of ash.